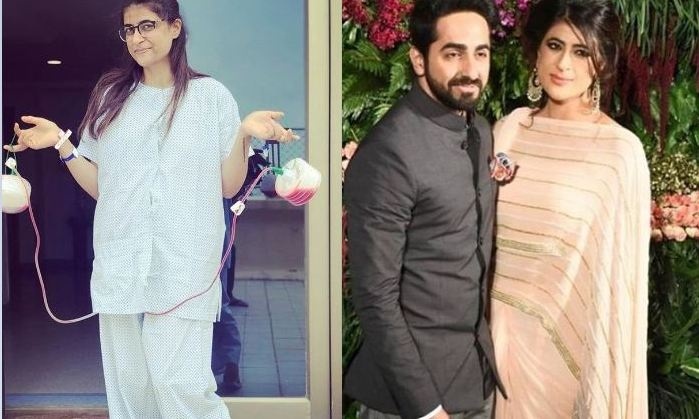 Tahira Kashyap, the wife of Ayushmann Khurrana, was recently detected with stage 0 breast cancer. Cancer can kill not just because it is a deadly disease but because it tears down a person mentally. The emotional trauma that one goes through while facing this deadly disease cannot even be put into words. “Paa le tu aisi Fateh. Wish you all a happy #worldcancerday with the hope to celebrate it in an embracing way❤️These scars are my badges of honour. It was tough but this picture was my decision as I want to celebrate not the disease but the spirit with which I endured.